You may have seen other 2PS members’ selfies in social media. What are they made for? 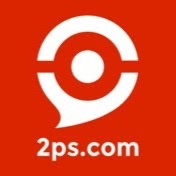 2PS network fosters collaboration between experts. However, they must know each other before collaborating. It is hard to refer someone you only know virtually. Of course, monthly M33TUP with your ambassador is meant to make you meet the other local members, and also to make them know about your services and your clients' needs. However, more than one meeting may be needed before referring someone. Other situations might happen too. For instance, some single consultants don’t have any local ambassador or only casually stay in a city or a country. Most of the time, you often need to strengthen a relationship with a local or international consultant to refer him/her to your clients. To foster these relationships, 2PS promotes private meeting: private M33TUPs. Every time you meet a consultant, you can win a sharing point ❤ taking a selfie. Login to our website and scroll down the menu to contacts. Upload your picture on the card of the person with whom you took the selfie. Once the upload is done, the picture will be pending until the other person on the selfie accept the identification (the hourglass symbol on the picture). He/she will be notified by mail that she was identified in a private M33TUP. Both of you will receive one sharing point as soon as the identification will be accepted, and the picture will be visible on each of your cards. However, this picture has an expiry date. You must replace it with a new one within one month, otherwise, the card will be empty again. Your score and how often you are suggested in research directly depend on your skills and collaboration points. Then, don’t wait any longer before meeting new 2PS Members! N.B. On iPhone, you must click on the picture directly, not on the "new" button.